ABOVE PHOTO: Donald Generals Jr. 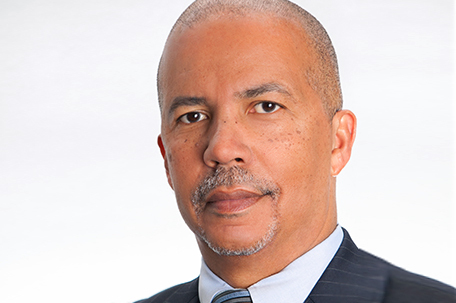 The Board of Trustees today announced that Dr. Donald Generals Jr., a renowned advocate of community colleges who currently serves as the Vice President for Academic Affairs at Mercer County Community College in New Jersey, has been appointed as the next President of Community College of Philadelphia. Generals, 57, the 6th President of the College, was appointed by the Board following a seven-month national search that drew interest from nearly 50 candidates across the country. The Board is expected to formally ratify his appointment at its next Board meeting on April 3rd. The search process, among the most open and transparent in the College’s history, selected three finalists in early March following weeks of review and candidate interviews by the Search Committee, which has been at work since late August. Dr. Generals’ appointment followed visits by each of the finalists to the College’s main campus at 17th and Spring Garden St. in Philadelphia’s Fairmount section, where each met for interviews over the last week with faculty, staff, students, business and community leaders, and the full Board of Trustees. Dr. Generals, a veteran educator, administrator and advocate for community colleges as a principal means for inner-city students to achieve academic and career success, succeeds Dr. Judith Gay, who will return to her post as the College’s Vice President for Academic Affairs following her tenure as Interim President since August 2013. “Donald Generals is a dynamic thinker with a deep and longstanding passion about the work of community colleges,” said Matthew Bergheiser, Chair of the College’s Board of Trustees. “He impressed the Board as a skilled administrator who understands the barriers to education that confront many of our students, and he has built his distinguished career on developing innovative approaches to overcoming them. “The College has made great strides over the years, and we believe that Dr. Generals will build on the strong foundation already in place while working with all segments of our community to enhance the ability of the College to serve Philadelphians from all walks and stages of life,” said Bergheiser. “I am honored to accept the Board’s appointment to serve as the next President of Community College of Philadelphia,” said Dr. Generals. “This historic institution, one of the largest in Pennsylvania and one of the largest of its kind in the nation, serves a vital role in providing education and opportunity. A native of Paterson, New Jersey, Dr. Generals has served since 2008 as Vice President for Academic Affairs at Mercer County Community College in West Windsor, New Jersey. In that capacity, he led in the development of new academic programs; the development of the college’s Education Master Plan — including an expanded mission for the college’s Trenton campus; he increased the programming and course offerings of the college’s on-line instructional programs (MercerOnLine); developed the college’s Study Abroad program; implemented an extensive redesign of the college’s developmental education and ESL programs; and created a program of mini-grants for faculty to innovate, develop and implement new educational initiatives. He currently leads the state-wide effort to redesign the community college sector’s General Education curriculum. In partnership with Quad Learning, Dr. Generals introduced and implemented the American Honors Program – which will provide honors courses and a nation-wide network of support to highly motivated and exceptional students as a means to win admission to the nation’s top four-year colleges and universities upon their graduation from Mercer. Before that, Dr. Generals was the Provost at the Katharine Gibbs School in New York City from 2003 to 2008 where he developed and supervised all Associate Degree and certificate programs. From 2000 to 2003, he was Vice President for Academic and Student Affairs at SUNY Rockland Community College in Suffern, New York, where among his duties he initiated and led the development and adoption of the college’s Core Educational Values; led the development of two new degree programs; and served as Acting President during the President’s absences. Between 1984 and 2000, Dr. Generals worked at Passaic County Community College where he served as the Dean of Student and Cultural Affairs between 1995 and 2000. Dr. Generals has long been active in numerous professional and service organizations, including: the New Jersey Academic Affairs Affinity Group, which he chairs; the National Alliance of Community and Technical Colleges, where he has served as a Board member since 2010; the College Board, Middle States Regional Council; and as a former Commissioner of the Paterson Board of Education. Dr. Generals has four children. He and his wife, Joann Gonzalez-Generals, and their five- year-old son currently reside in Lawrenceville, NJ. Ms. Gonzalez-Generals serves as the Executive Director for Student Success at Caldwell College in Caldwell, NJ. Bergheiser also expressed the Board’s appreciation to Dr. Gay for her service as Interim President for the last eight months.